> Exchange, Office 365, Outlook, Windows > Microsoft Outlook – Cannot start Microsoft Outlook. 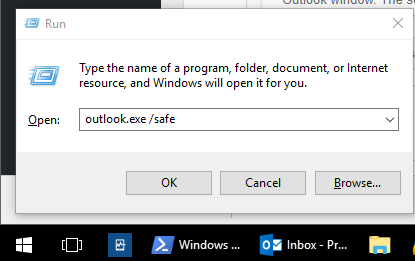 Cannot open the Outlook window. Microsoft Outlook – Cannot start Microsoft Outlook. Cannot open the Outlook window. Cannot start Microsoft Outlook. Cannot open the Outlook window. The set of folders cannot be opened. Microsoft Exchange is currently busy. If this message is still displayed in 30 minutes, contact your Exchange administrator. Choose Start and in the Search programs and files box, type Control Panel, and then choose Mail. Note: There are different paths you can take to get to Mail settings in the Windows Control Panel. The path you take might depend on which Windows operating system you're using, and which version of Outlook is installed. Next idea was to reset navigation pane. 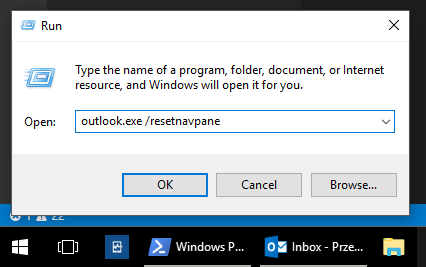 Just right click on Start, choose Run and type in outlook.exe /resetnavpane. Since we've run out of standard ideas we had to use weapon of mass destruction. 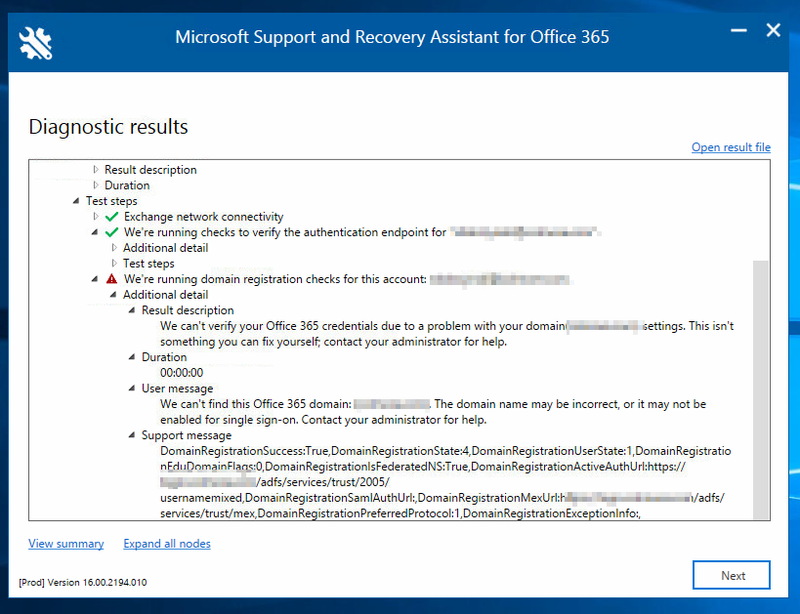 We've run Microsoft SARA (Support and Recovery Assistant) for Office 365. The tool is very powerfull and can fix many issues but in our case it just displayed and error. With that information in hand we knew this has to be related to our ADFS server. But since it worked fine for other users it has to be just local to that profile. 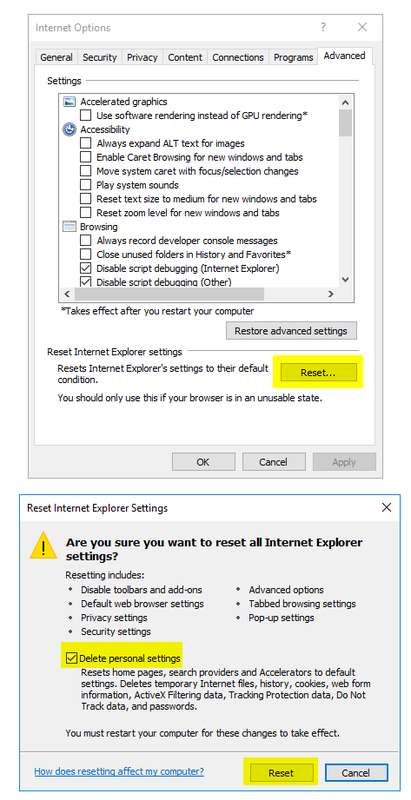 Since ADFS/Outlook uses Internet Explorer to do that connection we've decided to reset IE to its defaults. 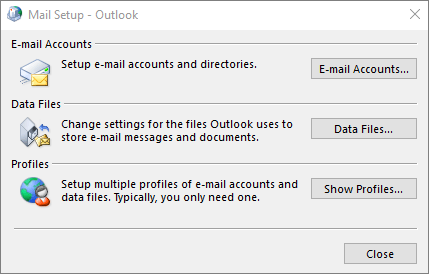 After that simply logging out of the machine, loggging back in … and .. Outlook is working again!